I’ve been super emotional the last few days and especially today. 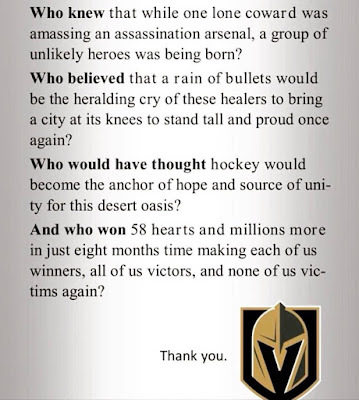 Not because we didn’t win the Stanley Cup, but what we all have experienced the last 8+ months and woke up to this morning was much more than anything a Stanley Cup could ever give us. 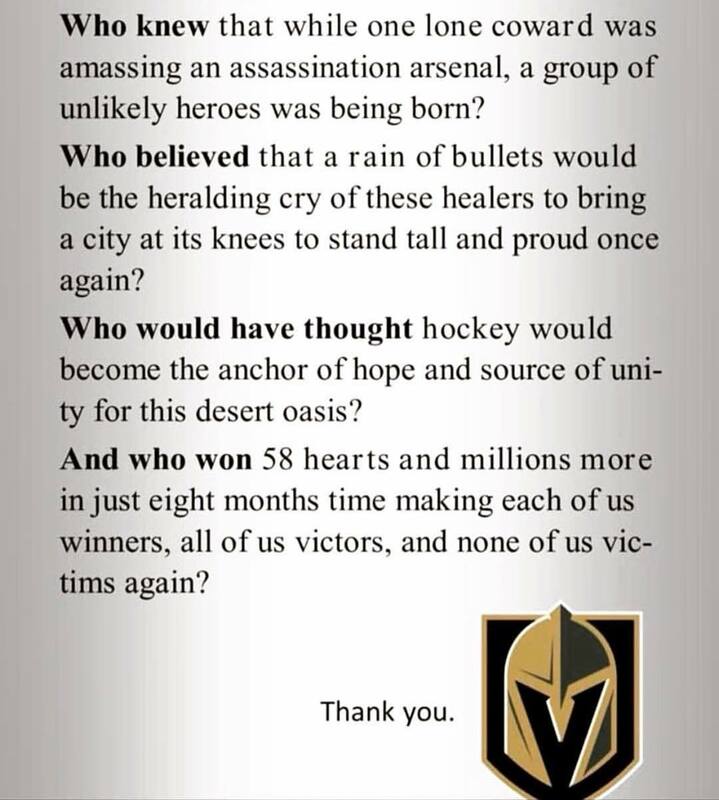 The way everyone has opened their hearts to this VGK Family is like no other. Every time I think I am ok, I go online and read what someone wrote, or I watch a video of Fluery apologizing or Tuch crying because he’s so emotional and just can’t keep it in. And I lose it all over again. Let me repeat that I am not emotional because we didn’t win last night. I am happy and at peace and even though I think some Capitals players are dirty, they ultimately played a better game. I am not going to say they were the better team, but they played better than we did. For us, this is so much more than just hockey. This is something bigger than the game itself. I am emotional as to what this team has not only given this city and their fans this season, but also my little family. The support and love from everyone has been outstanding. The friendships developed and the messages received whether in person or through social media giving my Husband a compliment or thanking me for sharing him with everyone (haha) or saying how adorable our kids are (aka Gameday Griff) are unbelievable and humbling. Also, I want to thank you for helping me heal. Thank you for reaching out and chatting or saying Hi at games. Thank you for taking my mind away even for a minute from any dark space. Thank you for the hugs and high fives. Thank you for embracing us. Thank you for being there and being you. 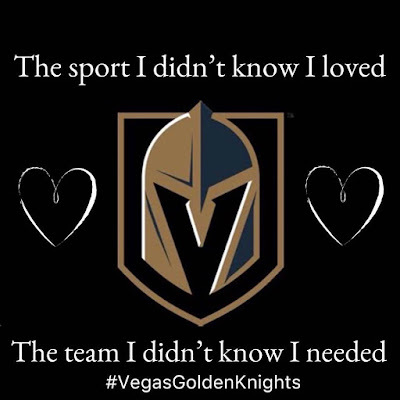 The D Fam will always be Minnesota WILD fans and hold a special place in our heart for that team because that is where Wayne and I grew up, but Las Vegas is our home now and the Vegas Golden Knights are OUR team. And I’m not talking about just the players, but everyone who had anything to do with the team from the coaches to behind the scenes and especially the fans and our city. 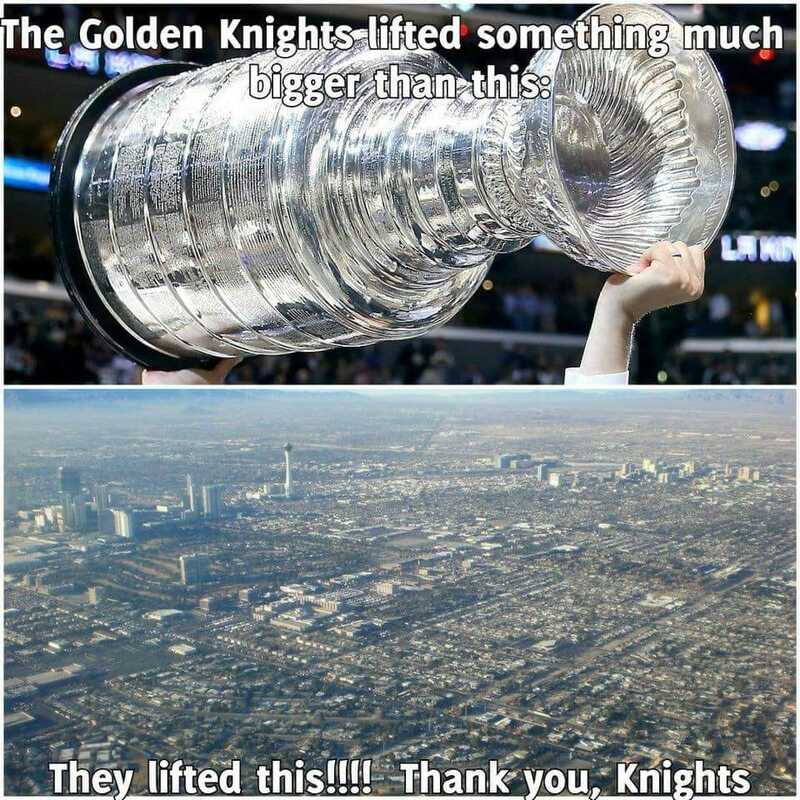 The way our city embraced this team and rallied together and will continue to rally together for seasons and years to come. thank you friends from the bottom of my heart.